Considered to have medicinal properties burrowed beneath its history of illicit use, the debate on the legalization of marijuana in California has received a new dose of controversy as we get closer to remodeling our nation. Proposition 64 aims to allow recreational use of the drug for citizens 21 years and older, along with the ability for businesses to sell marijuana with a state license. The most promising aspect of this proposition is the excise taxes on plant cultivation and retail price, which could generate revenue for the state. However, these benefits do not consider the environment that a legalized drug known for causing problems in mental development among other physical illnesses can create. Rather than being a product of the black market, marijuana culture will be moved into our neighborhoods. There is no telling if those of legal age will use marijuana in a legal manner; many may use its medicinal properties as an excuse to achieve a high, but that is based on their own judgment. The true predicament lies is the effect this has on children and families. In a 2014 study performed by the Substance Abuse and Mental Health Services Administration, marijuana proved to be leading in drug popularity, with 2.2 million users aged 12 or older reported. Adolescents have been drawn to this drug in the past when it had to be received through illegal means, so consider the exposure of neighbors or relatives growing marijuana for themselves, in their homes and with no consequence, would have on them. Teens could be surrounded by the depressant drug in a justified setting, where the legality of its use is obscured in their minds as a perfectly valid activity to do. While the selling to minors would remain illegal, that hasn’t stopped the illicit distribution of any drug before, especially to adolescents. Those willing to break the law could do so in a secure environment: while the growth of marijuana in someone’s home would have once be suspicious, it would camouflage with the other houses using the drug properly and legally. If teens had easy access to marijuana before, then it wouldn’t compare to the simplicity Proposition 64 would bring. Probable cause wouldn’t stop at the possession of marijuana, it would have to be the providing of the drug to minors, meaning a search warrant could not be granted until adolescents have already been affected. 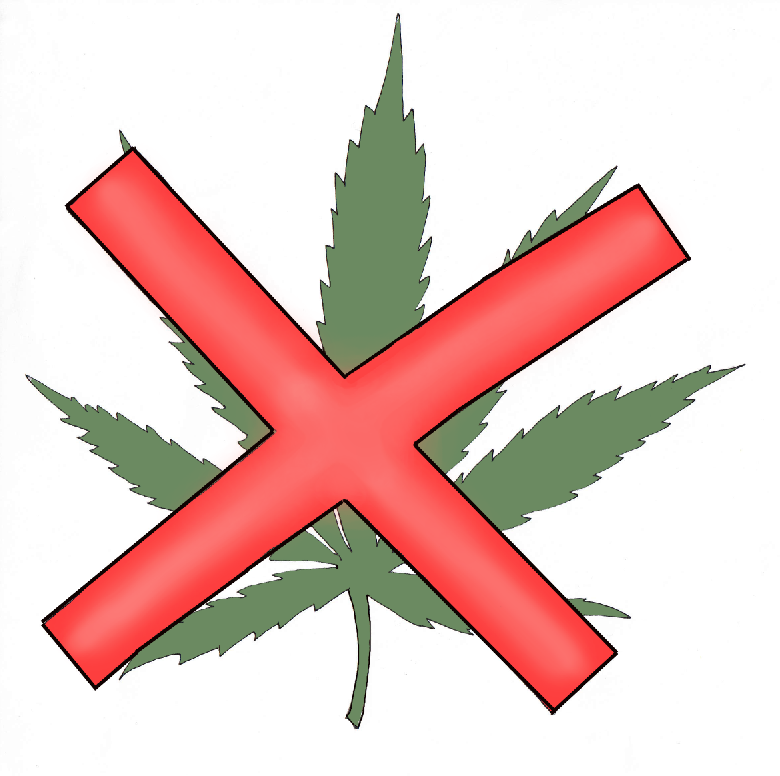 In addition to illegal marijuana distribution, there is a provision of the proposition that allows for the advertisement of weed consumption by large businesses. Although they are prohibited from marketing to minors, tobacco companies have already discovered loopholes to entice a younger audience. Who’s to say a marijuana company won’t use a cartoon mascot like Joe Camel from Camel Cigarettes: a character who models the use of their product as “cool” or “fashionable.” Even then, any advertisement seen or heard by children can easily influence their judgment, which will only be further impaired by using the drug. Then there’s actual role models in their life: celebrities they admire can reflect the use of marijuana, perhaps in a legal or illicit way, which adolescents can easily harm themselves with. Even relatives, who may be using the drug properly, can create a great influence on younger family. The bond of trust that is shared between kin can be strong, but you wouldn’t want to have your niece or nephew get into a fatal car crash because they wanted to try marijuana like you, but didn’t know how. Yes, the law forbids the selling of marijuana 600 feet from a school, daycare, or youth care, but when has that stopped children from being sold illicit products before? What keeps them from finding access to drugs outside of school? There’s also a provision that disallows marijuana use while driving; the same law is currently placed for drinking while driving, yet 10,625 people died in alcohol-related collisions in 2015, while many more continue to put others at risk while behind the wheel. Proposition 64 may take advantage of open revenues, research into medicinal marijuana may be funded, but at what cost? The cost of peace in our cities, in our neighborhoods and homes? At the cost of our children’s safety and the health of many? Are we willing to enter another incorrigible crisis like that of tobacco, to let our lives be corrupted by rampant illicit use? Perhaps one day we’ll find an ensured means to use the healing properties via experts, but for a proposition that only seeks to reap financial benefits, we need to keep our homes free from the dangers of marijuana.